A special thank you to those that have and also to those that have just sent a donation. for their generosity in providing the stickers at a very reduced price. Praying for Matt every day. I will make this topic sticky as well so you dont have to make a new post to bump it to the top. 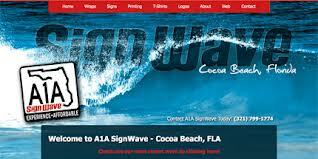 put on by the Cocoa Beach Surf Museum. 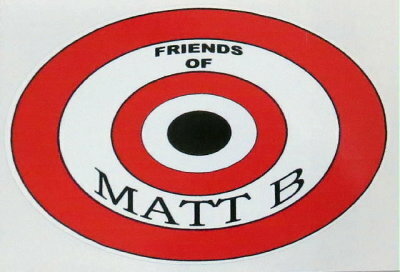 "Friends of Matt B" stickers, I was able to turn over $640. Golf Benefit or at the benefit put on by the Cocoa Beach Surf Museum. or either of the two benefits, and to all those that have stopped by to see Matt. He is making progress and is in great spirits. community, when we all come together to help someone in need. kudos to the surfriding community of the cocoa beach and sebastian inlet chapters of surfrider for donating to his recovery. The surfer stomp at Sport's Page with Billy Chapman donated their proceeds from the party. Those pics are a sobering reminder of our struggles. Then...pics of the girls having the time of their life out surfing. All in the same town yet a world apart. Life marches forward. With us or without us. Were those pics of Matt showing him moving his fingers? It appeared to be some sort of measuring device to see how high he could move his fingers. If so I am very stoked he is gaining some movement! Keep praying, the good Lord works in ways we cannot fathom. And some of those girls may have already had their own life altering struggles that will go unseen, and Matt will have pinnacle days of his life yet to come. Everybody's eyes on their own paper. All in the same town, different times, different observers. Hey guys Matt here . Thank you to Dan and so many people that have supported me . The money has helped tremendously but all of the people coming out to help in seeing the stickers around town is even better . Cocoa beach and the surrounding beaches are the best surf town in the world . I can remember so many benefits for somebody local surfers and members of the community . I cannot tell you how uplifting it is to have this kind of support . Many many thanks and stay safe ! Hey Matt, its good to see you on here, you're an inspiration, man! We'll keep sending the positive energy! CB is rad in terms of surf community. I learned that when I moved to Volusia county, its totally different here. Not that there arent good people, its just not as tight knitted imho. Logged on here this am to ask how Matt was doing. Glad to see him post on here. CB is definitely a unique town in which I've been privileged to grow up in. I live 20 mins away in Indialantic and it seems like I'm in a different state of mind down here as far as "community" goes. Yes there are good people but nothing like CB. Keep up the fight Matt.